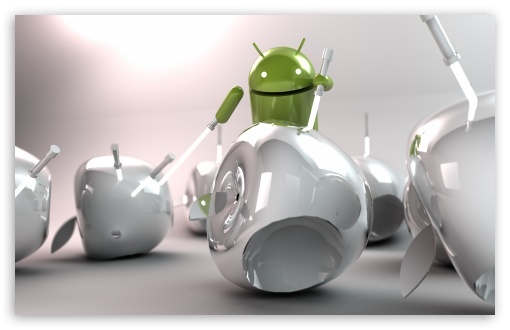 Study Shows Android is Safer Than iOS! Every day I go to the office and I have to face the masses of people I work with who know of my passion for Android and feel the need to try to convert me to iOS. Although, I do have to admit, it goes both ways and I am regularly trying to convert them over to Android. No matter who starts the discussion it almost always ends with them throwing out the argument, “iOS is safer than Android.” It doesn’t matter what I say, they’ve been fed that as a fact and they can’t be persuaded that it is not a fact. Thanks to a new study done by Checkmarx and AppSec Labs, I have additional ammunition that proves them wrong. As part of the study both companies went through several hundred apps on the Apple App Store as well as Google’s Play Store. Their study found that around 40% of the iOS apps tested contained potential vulnerabilities relating to system stability and the protection of user data. The Android apps tested came out a little better with 36% showing the same types of vulnerabilities. In speaking to Geektime, Amit Ashbel of Checkmarx stated that the majority of the flaws were due to vulnerabilities within the code of the apps themselves. He also stated that both iOS and Android developers have a long way to go and have a lot of room for improvement on the security front.